Interview and Giveaway with Cindy Pon! 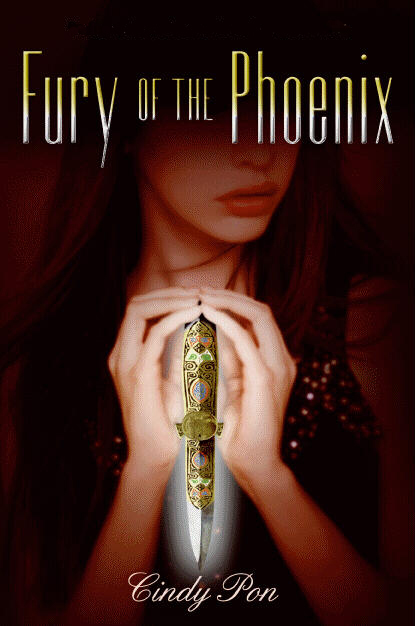 On March 29th, Fury of the Phoenix by Cindy Pon was released! I’m so excited because this is a book I’ve been waiting forever to be released since I finished reading Silver Phoenix. And even better, today we’re going to chat with Cindy (love her) and I’m giving away a copy of Fury. Me (drinking tea): Fury is a sequel to Silver Phoenix. What has been your favorite part of continuing Ai Ling’s and Chen Yong’s story? Cindy (drinking boba): Although it was challenging to write, I did enjoy the sexual tension. What was the most difficult part about writing a sequel? Cindy: Oh, the whole thing. haha! Writing Fury was honestly one of the most difficult things I’ve ever done in my life. I think the fact that I couldn’t write and revise at my own leisure was the most challenging. I wasn’t certain if I could do what I needed to do for the story (and my editor) in the time given. High pressure! I love how you bring food into your writing. It’s like your signature. I kept getting hungry when I read Silver Phoenix. What are your favorite foods? Cindy: Thank you! I do love to eat. But I think that food is essential to world building, especially in Xia, which is inspired by China. Food is so important in our culture for celebration and for ritual. Of course I love Chinese food like xiao long bao (soup dumplings), chow mien and mapo tofu. I also love Taiwanese “small eats” like pigs blood with sticky rice and intestines and deep fried tempura (fish cake). One of the things I loved about Silver Phoenix is how you brought in the Chinese mythology and tales. It really adds something fresh and unique to what is on the bookshelves. What are some of your favorite Chinese mythical creatures that you brought into your books? Cindy: Many of them were made up by me! But the most intriguing actually based on Chinese folklore would be the snake demon. I noticed your lovely paintings on your website and read that you’re currently developing a picture book. Any gossip that you are able to share with us? Cindy: Alas, no. Though that is my next project to tackle. I’m hoping to fill a picture book full of color and cute animals. Wish me luck! 2. #1 country you’d like to visit: China! 4. Preferred writing method: my macbook! Now fill out the form below to be entered to win a copy of FURY! The deadline is April 30th. 12 Responses to Interview and Giveaway with Cindy Pon! Love it! Great contest and great interview ladies! Yay to Cindy for all your success! Love the cover. Now I just need to read the first book, then I’m set. Stina- yes, you’ve got to read the first one too! And they are both lovely covers. They look so pretty on my bookshelves! talli, haha! yes, because london is my favorite city. i fell in love there for the first time (and married him–it’s 14 years next month)! thanks so much for the giveaway and having me, christina! It’s so nice to hear from Cindy again and I’m excited that this book is finally out! Yay! Great interview ladies! It sounds like Fury will be a hit. 🙂 MMMMM, Belgian chocolate. Nice interview. This interview made me a little hungry. That’s cool she made up most of the mythological Chinese stories. how fun. And yet I do remember a story about the Chinese inventing a magical horseless carriage. That’s not what they called it, but I do remember that tale and reading it before Silver Phoenix came out. I’m so looking forward to this book!